Sweet potato chips & wedges have been around for a while, they've been done, you've probably got the t-shirt and sent a postcard! BUT these beauties, are just amazing! 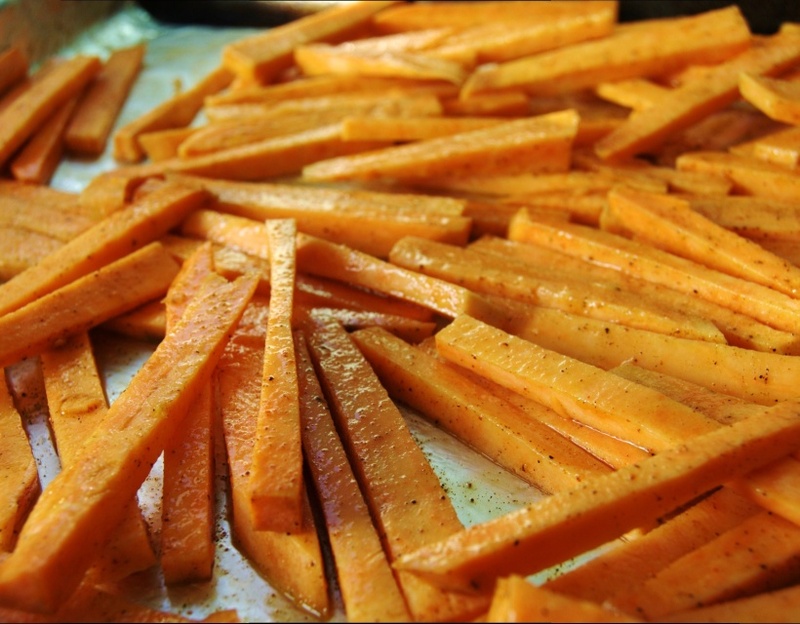 Unless you're at a pub or having "fish & chips" the general favourite is french fries. 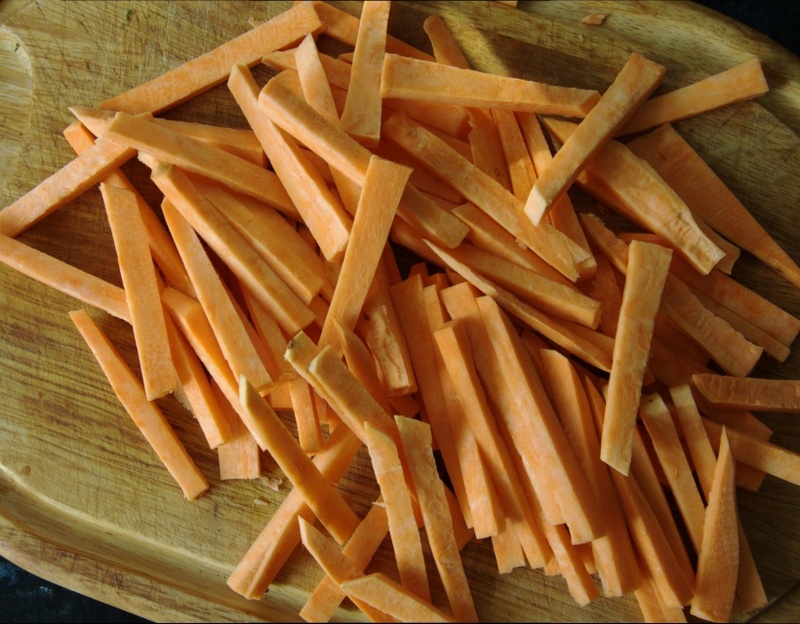 Those crisp, crunchy, light, bites that take you to heaven for a few seconds, but sadly are usually deep fried, not very nutritious and commercially bought! So if I said to you we could get something that tastes the same, possibly even better I'm sure you would be running to grab your apron and dishing out some amazing rugby hand-offs if anyone gets in you way! 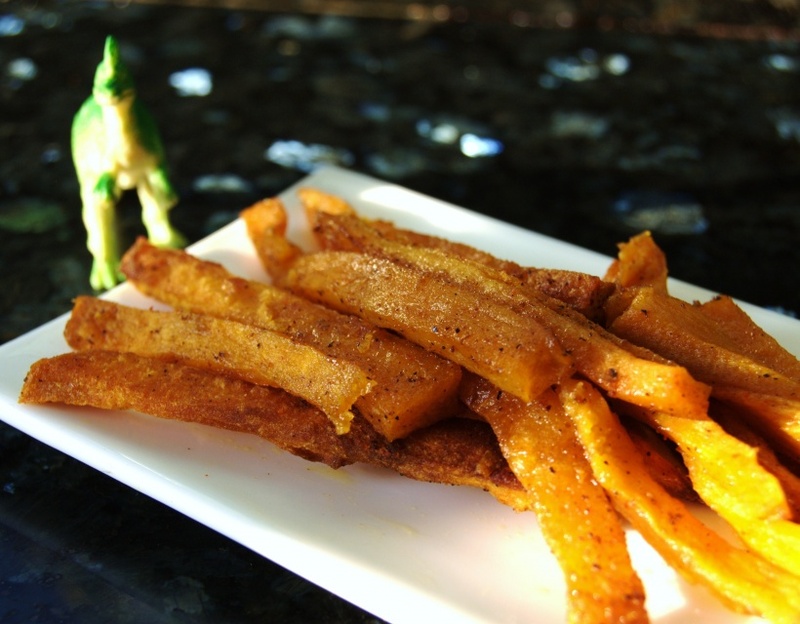 Simple, minimal ingredients, just fabulous fries! BOOM!!!! Crispy, succulent goodness! 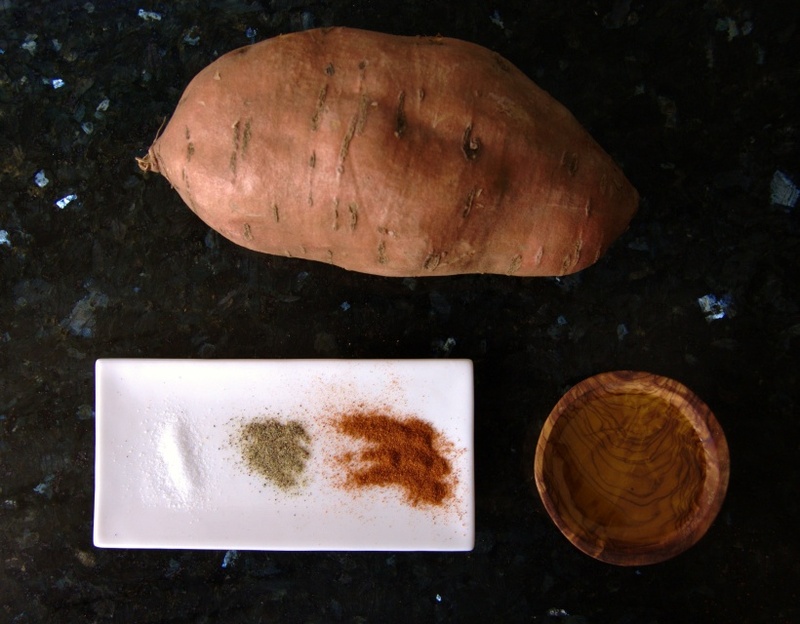 Crammed full of epic nutritients and flavour that will make any bought’uns shake and quiver in despair compared to the mighty sweet potato fry!